[Our daughter] couldn’t have been happier with our choice of preschool! Thank you so much for all that you do to make PPA the amazing learning community it is! “Letter F is for Fire Safety Week” Blog Recap! 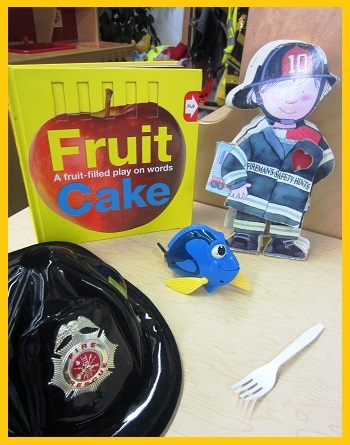 “Letter F is for Fire Safety Week” was not only inFormative, it was fiery, funky, funny, and certainly fun-filled! Read on below to see all the fun and learning that took place! “Letter F is for Fire Safety Week” began and the students filled the share box with a wonderful assortment of letter F shares including: feathers, fuzzies, frogs, and of course, fire safety items! The fire safety shares were particularly helpful as we were discussing many of the different topics related to fire safety and fire prevention. 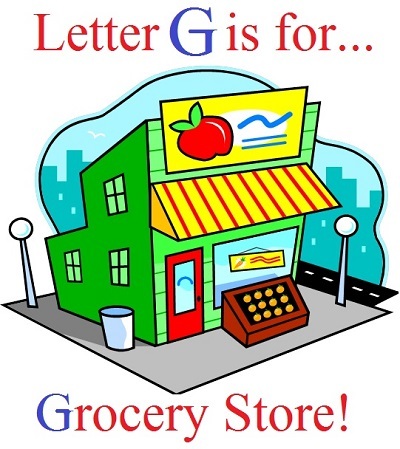 Do you see any Letter F items in this picture? At the beginning of the week, the students worked one on one with their teachers to complete their letter F identification activity pages. The students had to trace/write the letter F, distinguish the letter F against other letter sounds, and color the letter F pictures. It was hard work but definitely fun! 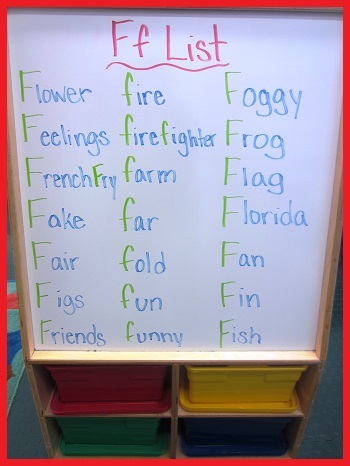 During the afternoons, the students created letter F lists (see below). Things got a bit funny when the students suggested words like phenomenal for the list. Despite a few tricky words, the list was created! They also hunted for “F’s” all around the classroom! One of the students found an F on his body – feet! 2. Sit there and watch the fire. 3. STOP, DROP, and ROLL! Hopefully, you chose the same answer as the students – number three – STOP, DROP, and ROLL! The students had the opportunity to practice how to Stop, Drop, and Roll a little later on. Since they had so much fun practicing, the teachers decided to photograph the students as they Stopped, Dropped and ROOLLLLLLLED!! Scroll to the bottom of this post to view all of the photographs from Stop, Drop and Rollllll! During the afternoons, the teachers compiled a series of photographs and video clips to help the students visualize what to expect if there was ever a fire in their home. The students loved hearing and learning all about fire safety. Here is one clip for your viewing pleasure! The teachers explained that even though fires are dangerous, learning about and practicing fire safety is not! It is important to practice fire safety so if there ever was a real fire, everyone would know exactly what to do. 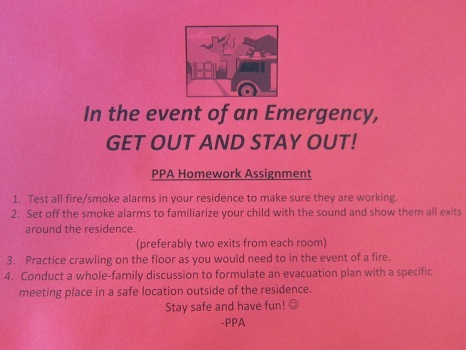 Speaking of practicing fire safety, all of the students went home this week with a homework assignment. Read below to learn the important, potentially life-saving, assignment they were given. The students also learned and practiced using a very important phone number this past week. It is the phone number that calls the firefighters, the police officers, the EMS and more! Do you know the phone number? If you said, “9-1-1” then you are correct! Here they are in action! Also this week, the students were visited by two special guests – PPA Mommy and a Second Grader/PPA graduate/PPA Big Sister! The students loved hearing both stories these wonderful readers shared! A special PPA “Thank You” to the visitors below for coming in and enriching “Letter F if for Fire Safety Week” for us! Wow, what a Fantastic week it was! As always, thank you for reading. Have a fun and safe weekend! Although “Letter F is for Fire Safety Week” has come and gone, the discussion and practice of fire safety should not! Please continue to review these important and potentially life-saving strategies often to help ensure the preparedness of your child in the event of an emergency. Throughout this past week, the teachers set out to explain what the students should do and expect if they see ever smoke or fire. Please bear in mind that while fire safety may be somewhat “scary” to discuss, it is critical that young children become familiar with and practice these potentially life-saving strategies. At your convenience, we encourage you to view the first minute and twenty seconds of the clip shown below which very accurately and realistically portrays what a smoke and fire-filled room looks like. Based on your child’s comfort with concept of fire safety, please discuss and/or view this clip with your child to ensure that they know to stay low and go towards the firefighters should he/she ever become trapped in a smoke/fire-filled room. If time permits, the rest of the clip has some very useful information for parents regarding fire prevention and fire safety – particularly evacuation plans. Click here to view all of the “Fire Safety Fun” photographs!